2nd Sat. of the month gathering at AutoKennel in Orange County This Sat. It's time to join us this Saturday (11/11/17) for our monthly L.A.G (Lazy AutoKennel Gathering). Come by this Saturday morning (11/11/17) for our monthly LAG. We will be opening the AutoKennel at 9:00am. This is a SPECIAL day. It's Veteran's Day. 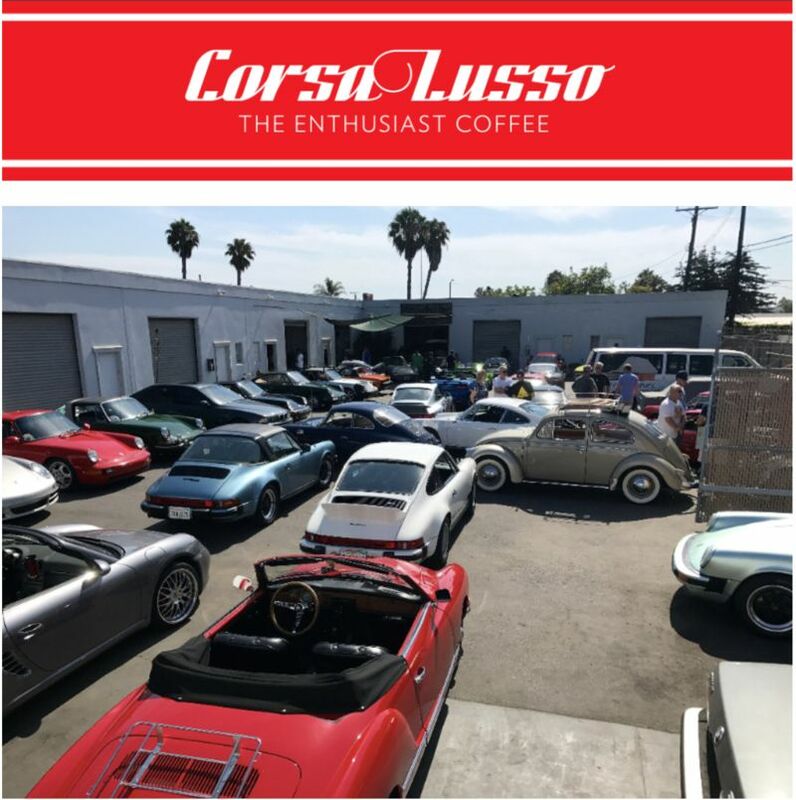 We will be honoring those who have served by providing "Enthusiast Coffee" from our friends at Corsa Lusso. Corsa Lusso is a car-themed coffee company that loves combining the worlds of exceptional cars with exquisite coffee. So instead of brewing our "Bunn" style diner coffee, come down and enjoy some "real" roasted coffee. Life is too short to drink bad coffee and drive boring cars! At 9:15, we will have one of the best local breakfast food trucks arriving to feed us. They will only be here until 9:45am. There is an alley on the side of the building. Come on down the alley and enter the courtyard on your left. Try and park against the perimeter to make room for all. If the courtyard is full, you are free to park (and double park) in front of our building. There is also open parking on the street. If a friend forwarded this email to you and you would like to receive these emails directly, please click here to sign up. Last edited by pkramer; 11-09-2017 at 06:07 AM..